TANCET 2019 Application Form will be filled from April 2019. 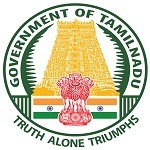 Tamil Nadu Common Entrance Test (TANCET) is a state level examination organized by the Anna University, Chennai on behalf of the Government of Tamil Nadu. Candidates looking for admission in ME/M.Tech/M.Arch/M.Plan, MCA & MBA programmes in Tamil Nadu state may appear in this examination. Through this article, candidates can check details about How to Fill TANCET Application Form 2019. Visit the official website of TANCET 2019 (link is provided above). Click on the “Online Registration” button. Go through the New User section and click on “Register” button. Enter the registration details like Name, Date of Birth, Gender, Email ID, Password, etc. After filling the details, click on the “Register” button. Go through the login window page. Fill your User ID (Email ID) & Password. Read the instructions carefully and click on the “Proceed” button. The application form will be displayed on the screen. Fill all the required details in the application form which are mentioned below. Personal Details: Name, Date of Birth, Gender, SSLC Reg. No., Year of Passing, HSC / Diploma Year of Passing, Nationality, Nativity, Community, Entrance Test Centre & Applying for Entrance Test. Other Details: Course, Specialization / Group & Year of Passing, Address Line 1, City, State, Pincode, Mobile Number & Email ID. Go through the upload images section. Upload the scanned image of passport size photograph by clicking the “Choose File” button. The image should be in JPEG format with size between 20KB to 30KB size. After filling details & uploading image, click on the “Preview” button. Check all the filled details and click on the “Proceed to Payment” option. The application number will be displayed on the screen. Click on the “Proceed to Payment” button. Select the payment option, i.e. Credit Card, Debit Card & Net Banking. Fill all the card details and click on the “Pay Now” button. Fill all the details carefully and pay the application fee. After the successful payment, students can take printout of the application. Click on the “Print Application Form” button. Take printout of the application form and keep it safe for further use. For any other queries about How to Fill TANCET Application Form 2019, you may leave your queries below. We will update the link when it will be released. Tancet application is not released yet. We will update the TANCET 2019 link to apply when it will be released. Link to fill application will be updated soon. Link will be given after release of application. my sister completed 12th this year and want to apply for BTECH. 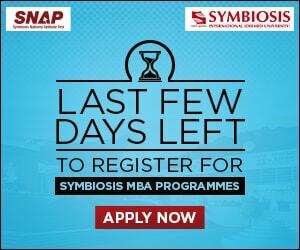 Kindly advise us how to apply by online……. Does TANCET conducting authority gives chance to make corrections after the final submit? We can’t tell you now. If they will provide it we will update in our article. Sir.I worungly enter the state in the address in applicathion form.and I have completed the payment and get application print view. Sir It can be edited? No correction facility is available. I am attempt in 10th so I have two register number and marke sheet in sslc which register number should be I use in that column..
Sir, i have mistakenly entered my hsc registration no, instead of hsc, i have completed my payment and got the print preview, can it be edited or changed by any way?? Wait for the correction period. When will the correction period open? Do we have an option to change it? I have registered for Tancet 18. I got a registration number and online payment has been done, buy I haven’t received any Print Application Form after paying! I also tried to contact the authority… They haven’t respond to my calls what should I do? the date of birth given during the register is different in the application form and it couldn’t be edited.what should be done to change it? It should not be sent to the official authority. Am create new username and password that time entered correct date of birth but during register form shows incorrect date of birth it unable to edit in register application, can u help anybody, how can i resolve? Sir I forgot to fill higher secondary school details and I did online payment .now what to do. Wait for the edit option. when will they give edit option. and how come we know that our application form got accepted, is there any posibility for the rejection of our application and when they will anounce that? The authority will provide the option to review the application form. Pls let me the application date for TANCET. is that link is opend or not?. All information will be updated after the declaration of TANCET 2018 notice. Wheather tancent2018 application form is relased or not? And what is last date for apply? Can anyone please provide me the link of tancet 2018 application form. I am not able to find it. hi.. I couldn’t find the exact portal to fill in the application form for TANCET 2018 for MBA, I got stuck with the Anna university website .I request you to kindly send me the direct link to fill in the application form ASAP. Thank you…! 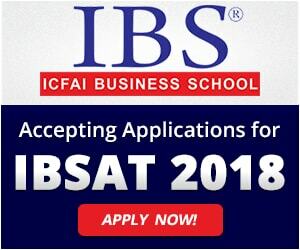 Application form has not been released yet. please provide me a link of tencet 2018 for mtech. TANCET 2018 online registration link, I am not able find. Please send link my email. I’m not able to access the application form of TANCET2018.Please send the link to my g-mail.